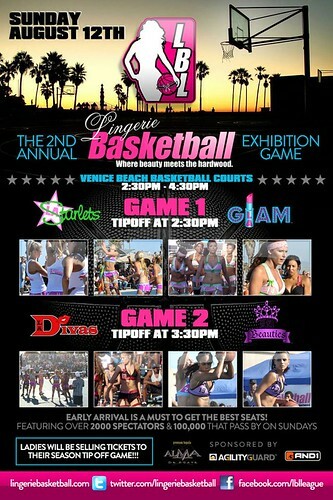 Lingerie Basketball in Venice Beach This Sunday! - Yo! Venice! Home Random Venice Beach Stuff Lingerie Basketball in Venice Beach This Sunday! Lingerie Basketball in Venice Beach This Sunday! The 2nd annual Lingerie Basketball exhibition game will be held this Sunday at the Venice Recreation Center starting at 2:30 pm.